We are a certified, insured, and bonded fingerprinting and notary agency offering fast and professional services to the entire Dallas - Fort Worth, Texas area and beyond. Dallas Live Scan Fingerprinting utilizes advanced FBI approved live scan technology. We partner with an FBI approved Channeler to help you obtain super fast FBI reports, Florida (FDLE) and FINRA background checks. If you are currently in a different state or country, no matter where you are on planet Earth, we can even assist you with our live scan services remotely. Electronic fingerprint transmission through an FBI approved Channeler. Lightening fast way to obtain an official FBI report to live, work, or travel in a foreign country, for personal review, foreign adoption, or attorney requests. Same day results in most cases! We can help you quickly obtain an FBI report and if you are required to get that report Apostilled by the State Department in D.C., we can get it processed for you within 4 business days, which includes Priority Mail shipping and tracking to you upon completion. We process Florida Live Scan transmissions (to FDLE). You will need to provide us with an ORI number. Most background checks are completed within 24 hours. FINRA electronic fingerprint transmission (EFS) is the fastest way to obtain results for your FINRA background check. If you prefer, we can provide traditional ink fingerprinting on FINRA fingerprint cards instead of EFS. Our advanced software is capable of capturing digital fingerprints and storing them in our secure server for future fingerprint card printing. This is inkless, clean and efficient and eliminates the need for you to continuously get fingerprinted time and time again. If you already have your official FBI report and you just need to quickly get it Apostilled by the US Department of State, we can help you get it processed within 4 business days, which includes Priority mail shipping and tracking to you upon completion. Certified ink fingerprinting. We ink roll your fingerprints onto fingerprint cards such as FBI FD-258 cards, FINRA cards, SF-87 cards, or any State specific cards and other forms requiring ink fingerprinting. 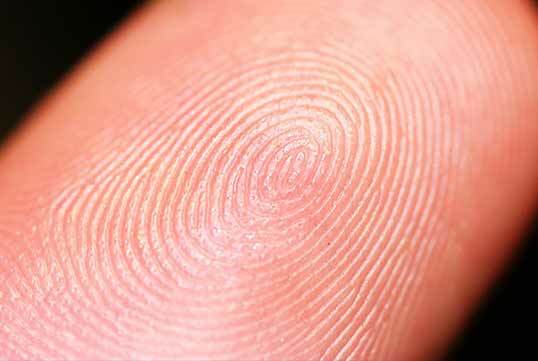 Our professional fingerprint technicians come to your location to provide all of our services for your convenience! We add a travel charge for fuel and time traveling. Just call for a price quote and convenient scheduling. Color passport photos (2" x 2"). We provide Texas Notary Public services in our Irving office or we can travel to you. Just call for a price quote and convenient scheduling. If you just want to buy blank official FBI FD-258 fingerprint cards, you can buy them by clicking on the link below. We offer our digital live scan fingerprinting procedure by appointment daily in our office OR we can travel to you for an added travel charge. Most often, we can take care of you the same day you call us. You can schedule a convenient appointment with us online here or by calling 214-529-8157. We are available for appointments Monday through Friday from 8:30 am – 3:30 pm and on Saturday mornings from 8:30 am – 12:30 pm. Since we travel around the Dallas – Fort Worth area daily, we meet at our office by appointment and are not always available to accommodate walk in business, so please call us first for an appointment or schedule us online. Why Do We Offer a Mobile Service? Several years ago, we saw an enormous need in the Dallas – Fort Worth, Texas area for a mobile fingerprinting and mobile notary services provider. The public did not have a convenient way to get their fingerprints recorded for background checks because the area police departments and other law enforcement agencies fingerprint only their residents and only a day or two each week, they do not offer live scan fingerprinting services to the public, they do not provide fingerprint cards, and they do not offer a mobile fingerprinting service. That’s where Dallas Live Scan Fingerprinting saves the day with much more office availability and a convenient mobile service to you! We fingerprint full-time. This is not a part-time hobby for us, we take our business and profession very seriously and take great pride in producing excellent and fast results for our valued customers. We are fully trained, have many years of experience, and are certified to help you with all of your fingerprinting and notary requirements. With our professional experience, you will receive the highest level of service and quality workmanship, guaranteed! We are also extremely dependable and reliable. Give us a call today, we promise you won’t be disappointed! We have gone to Neal twice this year to get fingerprinted for FBI background checks. Both experiences were great. We were able to book an appointment that day and the process takes about 15 minutes. The first time, Neal was able to help us (via the FBI channeler) on a weekend to get information that cleared up an issue with the Ecuadorian government. We would absolutely recommend using Neal Stout. No one likes to get fingerprinted. This experience was great!! Making the appointment was quick and easy. Neal accommodated my schedule when I was going to be late then offered an option to go digital so that my prints could be archived. Whenever I need them again I just give him a call, pay a nominal fee and presto prints provided for whatever application I need. He takes the time necessary to ensure the prints are done right the first time and explains the process the whole way. Big thumbs up! I arrived on time for my fingerprinting & notary appointment that I scheduled online. Owner - Neal was ready to help me immediately! I can't believe how easy this was and I was in and out in 5 minutes. I highly recommend Neal's service, and he is a very personable, professional, no nonsense type of manager. We were required to obtain FBI reports quickly for work Visas to Brazil. Neal's office is in Irving, TX and we're in Denver, CO. All we had to do was email Neal forms and scanned fingerprint cards and Neal was able to process it the same day! We had our FBI results 2 hours after we emailed everything to Neal, and our official FBI reports the next day by FedEx. Can't thank you enough Neal for your 5 star service. Outstanding! I needed an FBI report for a work Visa and needed it much faster than the 2 - 4 months it normally takes the FBI to mail it out. Neal at Budget Fingerprinting helped me get my report in 3 days!! What's even better is that I'm a 6 hour drive away from Neal's office and instead of driving there, all I had to do was email forms and a scan of my fingerprint cards to him to process. So simple, thanks again Neal. 1226 N. Belt Line Rd. © 2018, Dallas Live Scan Fingerprinting. All Rights Reserved.